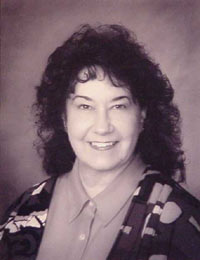 Judith is a Pennsylvania Licensed Massage Therapist and an ABMP Certified Bodywork Therapist. Judith's company is based on the belief that the customers' needs are of the utmost importance. She is committed to meeting those needs. As a result, a high percentage of her business is from repeat customers and referrals. Judith welcomes the opportunity to earn your trust and deliver you the best service in the industry. Judith studied therapeutic massage and bodywork at the PA School of Muscle Therapy and with Patrick Collard with whom she studied, assisted, was treated by, and associated for 20 years. These trainings and others over many years allow her to meet the continued education criteria of Associated Bodyworkers and Massage Professionals with whom Judith is a certified bodywork therapist. Judith is beginning her 30th year of service to Berks County and Philadephia in massage therapy and 32 years in offering meditation and Rebirthing (Conscious Connected Breathing or Breath Therapy)as well. Judith is also a PA Licensed Massage Therapist. Judith was first a public school teacher for 25 years and became interested in massage, bodywork, and Rebirthing due to her own injuries sustained in an automobile accident. So her work is not only based on studied material but also on the empathy she feels for those who suffer not only in their bodies but in mind and spirit also. Understanding that no one "fixes" another, Judith focuses on the idea that one must first become aware of what's going on and why and that he/she is instrumental in healing him/herself. Every client is different and wants treatment related to his needs. Massage therapy is more focused on the physical in most people's minds and so most therapists say little about mental or emotional issues, although the whole person is being affected by the work.On the other hand, Intuitive Bodywork (Collard Method)and Rebirthing along with Reiki explicitly address body, mind, and spirit issues; and people ready to explore and heal the relationship of all three usually choose these three types of bodywork. Judith studied Rebirthing first with talented George Gyomber from Reading, and then went on to study with Tony LoMastro, www.philadelphiarebirthing.com, Sondra Ray, www.sondraray.com, Leonard Orr, www.rebirthingbreathwork.com, Bob and Mallie Mandel (the founding fathers/mothers and greats of Rebirthing) www.bobmandel.com and others in national and international forums. The lessons and growth she obtained in her association with these people along with Patrick Collard changed her life. Her goal is to share these lessons and expand the circle of consciously connected people--connected to their breath, to their spirits, to their bodies, to everyone around them, to the Divine, and to our Mother the Earth.